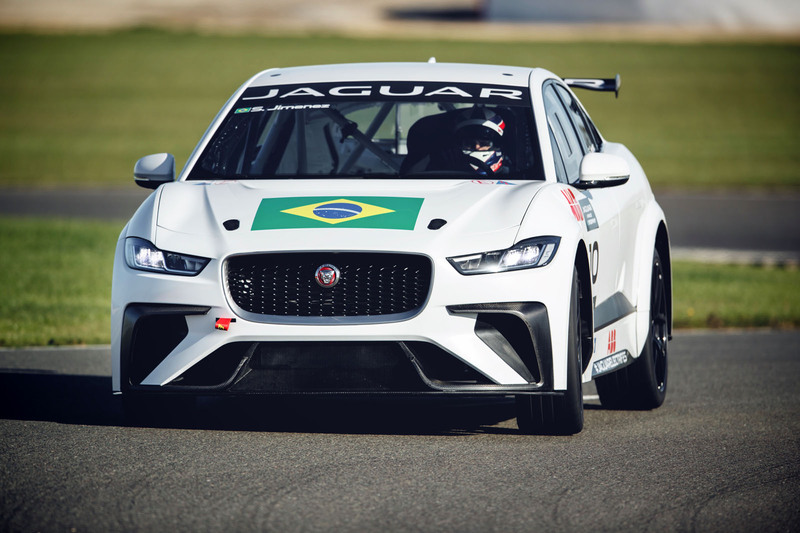 “Like having sensory deprivation” is how Bryan Sellers, one of the first drivers to have signed up for Jaguar’s forthcoming I-Pace eTrophy race series, describes driving an I-Pace electric race car. The new one-make electric car championship will be the support race for next season’s Formula E electric race series, which starts in Saudi Arabia in December and visits at least 10 countries (two more to be confirmed) before finishing in New York in July. 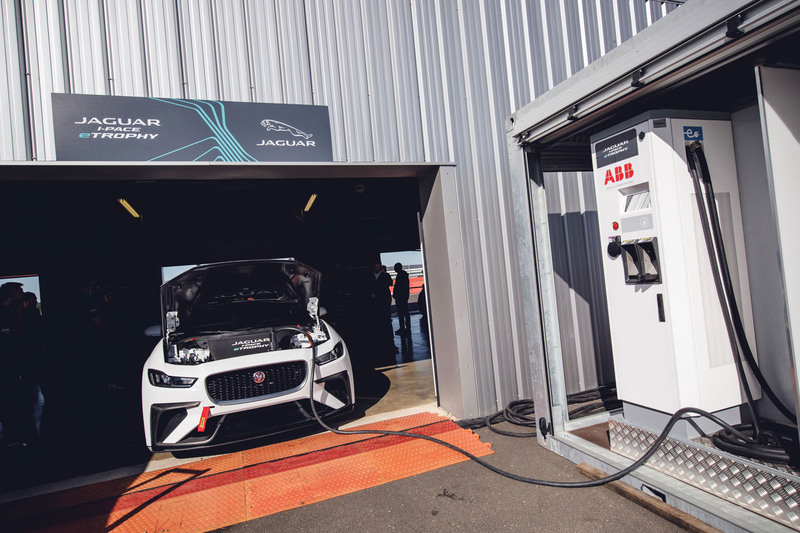 Some 20 I-Pace race cars will provide the warm-up entertainment on the converted street circuits that comprise the Formula E championship. And, probably, they won’t prove all that much slower than the main event. Simulations estimate they’ll be a little over two seconds a lap slower than last season’s Formula E single-seaters on some circuits (although this season, new-look main event cars will be quicker). 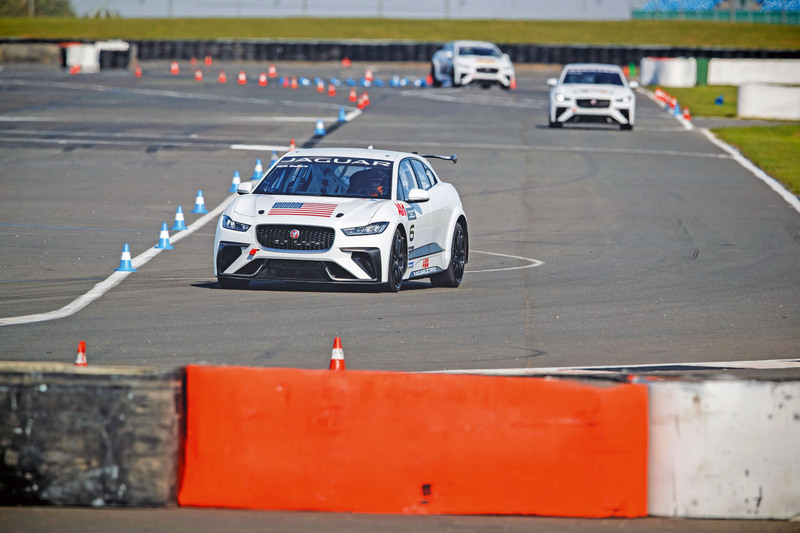 Mechanically, then, how do you turn an I-Pace road car into a race car? Not dissimilarly to how you’d do an internal-combustion vehicle. The interior has been thrown out, with door cards and dashboard replaced by carbonfibre alternatives. A roll cage comes in, bolted to the very extremes of the car and thereby keeping the batteries (around 600kg of them), which lie beneath the cabin floor and take up most of the space between the wheels, within its confines. The car’s track is widened, so there’s new bodywork to cover it, including 22in wheels running Michelin Pilot Sport road car rubber, with one set intended to last each competitor a race weekend. And then there’s some aero – some designed to reduce drag, the front splitter and big rear wing intended to induce downforce – although, at the lowish speeds of a Formula E street circuit, not much of it. How much of the eTrophy race car’s design elements could find their way back onto an I-Pace SVR road car? “As much as we can get away with,” says Jaguar design studio director Wayne Burgess. By throwing out the insides and fitting some new, lighter bodywork, around 300kg on each I-Pace was consigned to the skip. Putting in the cage and fire suppressant and so on puts around 75kg of that back in so, for a race car, the I-Pace is pretty heavy, at 1965kg, but still well over 200kg lighter than the road car. With the car’s powertrain remaining the same, apart from an increased drivetrain cooling capacity by opening up the front grille and losing air-con for the occupant, the I-Pace race car should feel brisk, no? Actually, no. It’s weird. You clamber in like you would into any modern racing saloon, seated low, strapped tight. Among the controls, the gear selector remains the same, but otherwise everything in here is bespoke. There are controls on the steering wheel to adjust the ABS, the power distribution (split 50:50 or 48:52 front to rear, with the latter providing better mid- corner rotation) and things that you know will remain unfathomable with such a brief acquaintance. And then encouraged out onto Silverstone’s little Stowe circuit, the experience is accompanied by... nothing but acceleration that feels more glacial than it surely is. I guess this is what Sellers means by sensory deprivation. Driving a race car – even a slow one – is generally accompanied by huge transmission whine, punctuated by revving engines and gearshifts. 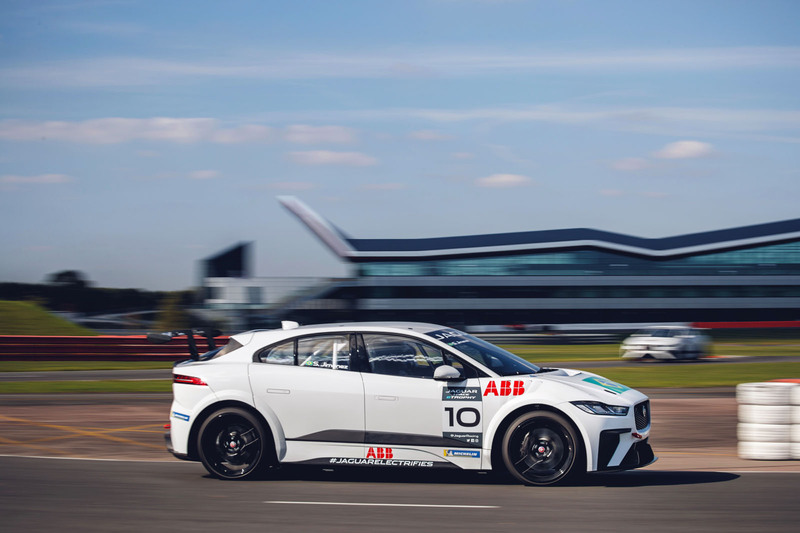 An eTrophy I-Pace just accelerates as quickly as the road car, with 0-60mph in 4.5sec. But while that feels fast on the road because you’re frequently stepping off from standstill, pulling away from a corner on a race track where the eTrophy car is already capable of big lateral grip and carrying good speed, other things come to the fore: the braking, the turn-in, the little additional throttle steer allowed by pushing that extra 2% of power to the rear. The steering is light, accurate but short on feel. Braking is terrific and backed, in the right circumstances, by switchable motor regeneration. If the battery’s full, regen doesn’t work, and later in a race, the amount of power continuously coming in and out of the battery can overheat its capacity to take more in, so the brakes are uprated to stop the car well anyway. But eTrophy drivers have found in testing that they prefer the brake feel with it engaged. There are, essentially, new things to learn with an electric race car. M-Sport is running the cars, at a cost of £450,000 a season per car. The technical regs are nailed for three seasons, and you can lease a car for £95,000 a year, or buy it for £200,000. Even electric race cars aren’t cheap. But given Formula E doesn’t have any paying drivers – all take a salary – it’s not a surprise that the eTrophy is attracting drivers who see it as a stepping stone to the main game: if you have experience of an electric race car, you have an edge on your rivals. What’s striking about driving one, though, is how the absence of aural drama accentuates other things. It gives even an inexpert like me more time to think about lines, and braking, and even the chance to ponder how darned difficult it would be to overtake: 20 of these cars, one small street circuit, enclosed wheels and a performance level that you can get on top of? It wouldn’t surprise me if the races were more entertaining than the main event’s. Is this a celebrity race series? If not, I don't think many people will care how fast a two tonne wagon can lurch around a race track. It will be interesting to see how many of these cars are left intact after a season's racing. The road going version of this hunk'o'junk will get 200 miles on a charge at 56mph. I imagine getting ragged around a track it'll be lucky to do 100 miles. The road going version of this hunk'o'junk will get 200 miles on a charge at 56mph. I imagine getting ragged around a track it'll be lucky to do 100 miles. yep, and when you just use it as a Chelsea Tractor i.e. short around town journeys, you can get up to 360 miles. I'd love to hear Matt describe it off the record after a few beers.